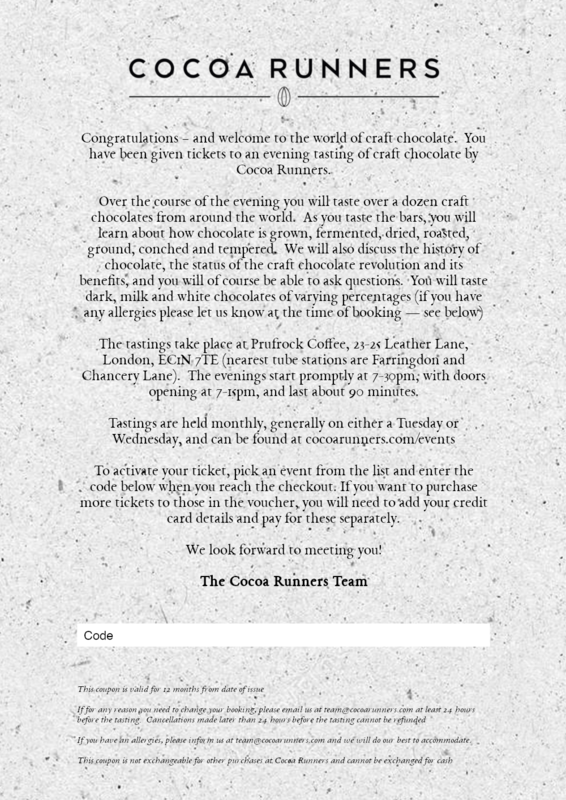 This pair of tickets will admit two to a Craft Chocolate Tasting Evening hosted by Cocoa Runners in London. They’ll try chocolates from around the world, and lift the lid on the world of craft chocolate. These tastings are hosted once a month by Cocoa Runners at Prufrock Coffee on Leather Lane in London. You can view all upcoming events here. Once you have bought a pair of tickets for a chocolate tasting, you can download your voucher upon checking out. Please look out for an email from team@cocoarunners.com. The recipient will need to email us in order to book onto a tasting event of their choosing. 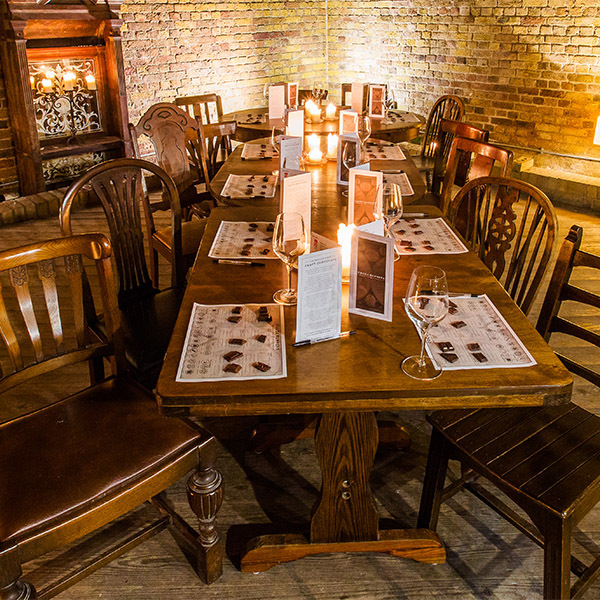 You can find details of all upcoming events and how to book your seats here. Please remember: you need to book your space at least 24 hours in advance of the tasting you would like to attend.